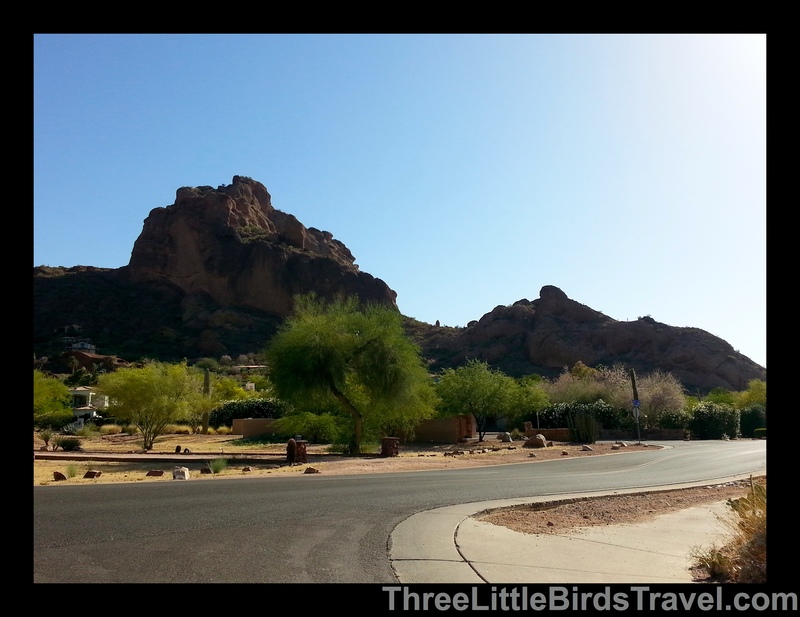 Camelback Mountain – Hike or Rock Climb? YOU decide! I travel to Arizona, for work, a few times a year and every time I go out there I tell myself, “This will be the time I climb Camelback!” Of course, something always comes up and I’m not able to actually do it, but I always return with the same goal. I have to be honest though…I was a little surprised by the actual course. Everyone calls Camelback a “Hike.” To me, a “Hike” is a steady path up a hill. It might be high and it might be long, but you’re still walking on a path. Despite all the rocks and the scary lizards, I finally made it to the top! The views are amazing and worth all the effort to get up there. You can find directions to the start of the hike/rock climb from the City of Phoenix website. I chose to do Echo Canyon, but there is another hike called Cholla Trail that you also might enjoy. Tip: Go slow, bring plenty of water and wear good shoes. I wore my regular gym shoes and found myself slipping on some of the rocks. What do you think? Was Camelback a Hike or Rock Climb? ?